Come see us today! 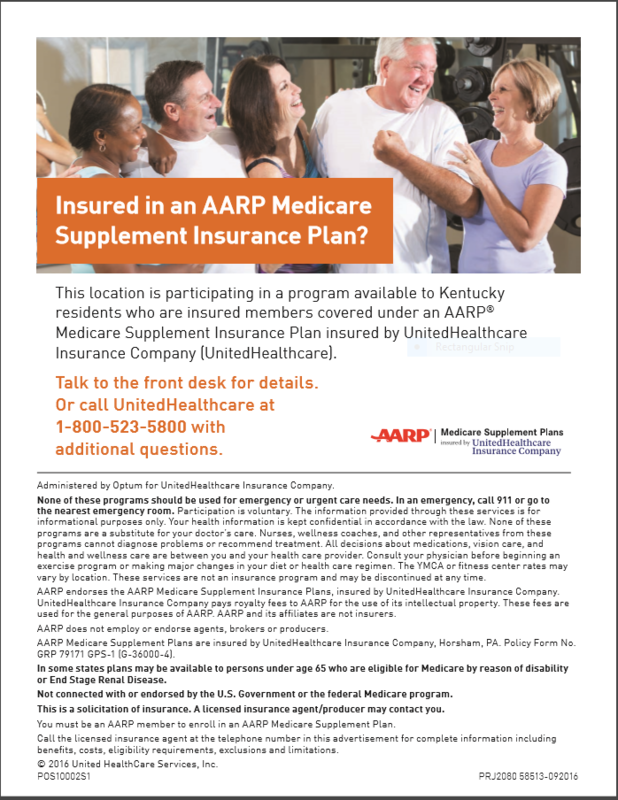 We are now a participating YMCA for the AARP Medicare Supplement Insurance plan for Silver Sneakers membership! If you or someone you know is insured through this plan, come see us today to start your membership! ​Members only pay $16.50 a month.